My artwork is born for my need to express motivation, encouragement, inspiration, and hope for myself and others. I don't want my art work to be just another pretty picture, but a tool that when you look at it, it serves as a reminder for people that they can have hope, live their dreams, be different, overcome insecurities, heal, and run after their passions! Bringing awareness to communities and encouragement to at-risk youth/exploited women and children, through my art is what brings me joy. I currently offer art prints, gifts, and originals that convey encouragement for sale Here, Zazzle, Fine Art America, and Shaker's America Cafe. 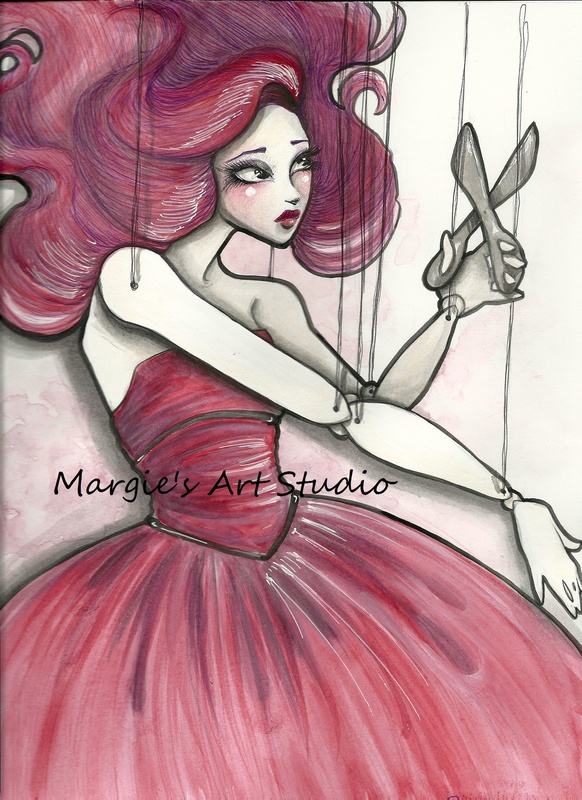 I also have Margie's Art Studio Blog with posts on life lessons, self improvement, art, drawing Tutorials. My book "Life is a Circus - Life lessons from the Greatest Show on Earth." Circus characters teach us about being fearless, taking risks, taming our inner critic and many other lessons. Available on LuLu.com. FREE printable digital download and updates when you sign up. used to love to staple paper together to create little books and illustrate stories like Cinderella. It was my escape from a not so happy childhood to happy lands where girls ruled and wore beautiful dresses and the Princess was the hero. My name is Margie Forestier and I am an artist, House parent to 6 at-risk females, mother of two beautiful children, and always looking for a way to make this world a better place or at least leave it a little better than I found it. Every purchase helps to support causes that help at risk children and victims of human trafficking. Your purchase helps to touch lives, thank you for that! 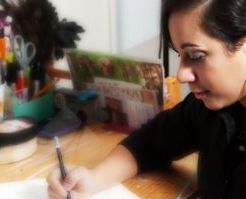 Margie's Art Studio is located in the Florida. We also have art for sale at Shaker's Cafe In Orlando.